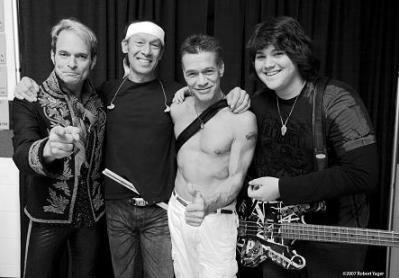 Van Halen album and tour for 2011…yeah, right. 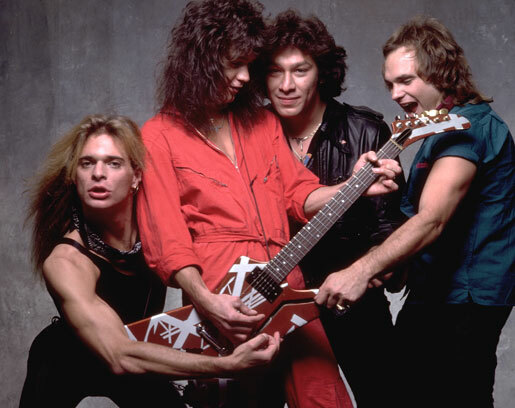 Sorry if I seem so pessimistic about this recent announcement, but I feel that we fans have heard this stuff about Van Halen re-uniting in the past several times over…and with great fanfare, has come great dissapointment. Honestly, many of us really don’t care anymore if they tour or make another album. If they do it will be nothing more than a pleasant surprise at best. Supposedly the band is back in the studio laying tracks down for their first album with Roth since 1984 (1983); but past history has shown that Eddie Van Halen and his brother Alex can take about 5 minutes with Roth in the same room, then the bottles begin to fly! I would imagine that Diamond Dave has become even more annoying in his older age; he was irritating in his 30’s and 40’s, can you imagine his 50’s? The most recent news I heard about David Lee Roth is that he was changing careers and becoming an EMT in New York City while also pursuing a musical career in bluegrass…so for him to get back with Van Halen is quite suprising to say the least. Strummin’ with the Devil: A Bluegrass Tribute to Van Halen (2006) and wasn’t a band album; I happen to like these alternative genre cover/tribute albums and this one is not band, it actually feature’s Diamond Dave on a track or two, but Dave’s pipes are rusty and this mellow style is more fitting today. Since we are on the topic of cover/tribute instrumental albumsI must admit that the Iron Maiden Piano Tribute album is by far my favorite and I suggest you check it out if you get a chance; the version of “Aces High” is pretty cool. Is it true that founding member Michael Anthony was kicked out and replaced with Wolfgang Van Halen (Eddie’s son) as the band’s bass player? Man, so now Roth is really outnumbered if things go sour in the studio, eh? At least Anthony wasn’t related and provided Dave some type of neutral ear if things weren’t working out with the other two. Just thought you might like to know the gossip about a reunion of the band; as much as I would like to see them tour part of me is saying save my money and my attention elsewhere.